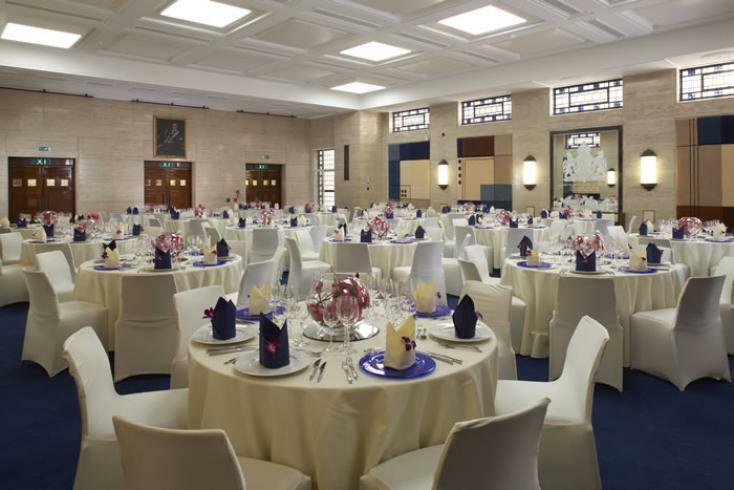 This year’s Bloomsbury Festival (15-20 October 2013) takes a look back and forward with the University of London’s Senate House as its focus. Built in the 1930s as the second tallest building in London (second only to St Paul’s Cathedral) Senate House soon became home to the newly established Ministry of Information at the outset of the Second World War. With kind permission of the Senate House Library we have been looking through some of the archives to find out a little bit more about what happened when the Ministry moved in and the academics moved out. There were many other issues to arise of course by this ‘occupation’ of University property, the most difficult of these was the question of the libraries. As this year’s Bloomsbury Festival confirms through the various events put on by the university library services, Senate House and the other Bloomsbury buildings contain fine, comprehensive collections very much worthwhile worrying about in a time of war. We will look closer at the fate of library books in a future post. In the meantime check out our Festival Highlights post for details of events at this year’s Bloomsbury Festival. The Bloomsbury Festival runs from October 15-20, 2013. The full schedule of events at the School of Advanced Study is available here. We are also running a series of exciting competitions in October. Follow us on @SASNews for festival news and updates.